Miriam, as she was known all her life, was the third of the five daughters of my great-grandfather William Neill; she had an older brother who died in infancy whom she never met, and the family later adopted a son. 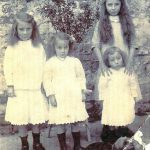 Marie Tarrant Neill was born on 16 August 1910 in the family home at James Street in Lurgan, to which they had recently moved. 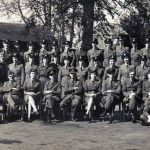 The Women’s Auxiliary Air Force was created on 28 June 1939 from the 48 companies of the Auxiliary Territorial Service supporting the Royal Air Force. 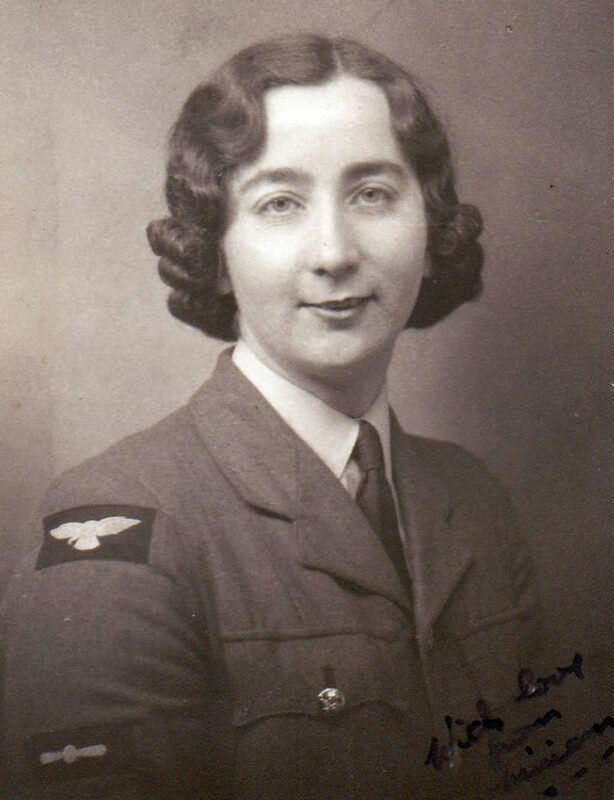 Conscription of women began in 1941 and Miriam Neill was enrolled into the WAAF that year on 24 July. 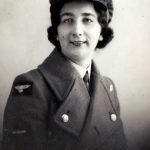 Having reported for training on 11 September 1941, she completed her basic training and was posted as a tailoress to RAF Box (later renamed RAF Rudloe Manor) in Wiltshire, the site of the Operations Centre of No. 10 Group RAF. She was billeted at Hartham Park, a Georgian manor house just north of Corsham. 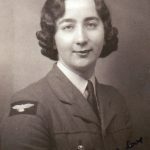 Promoted to Leading Aircraftwoman, Miriam remained at RAF Box throughout the war until she fell ill and spent some time at the WAAF Convalescent Depot at Studley Priory in the autumn of 1945. The reason for her medical treatment is unknown but after leave at home over Christmas and New Year 1945/46, she returned to duty. It is likely that her illness was related to her later tuberculosis, which forced her discharge as a result of ‘ceasing to fulfil WAAF physical requirements’, on 15 August 1946. 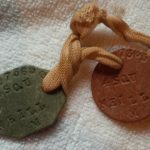 On discharge her trade proficiency was graded ‘superior’. 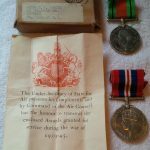 For her war service she was awarded the British War Medal 1939-45 and the Defence Medal. 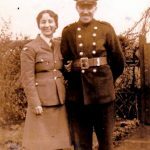 Miriam Neill spent some time recovering from tuberculosis at the wartime hospital at Waringfield in Moira, County Down. She later set up her own dressmaking business in Rostrevor. 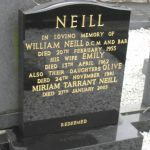 She died on 27 January, 2003, aged 92, and was buried with her parents and sister Olive in Lurgan New Cemetery. 1. (Back) Elizabeth Ellen (known as Cissie) (later Woods) (12 August 1900-NK), Olive (28 September 1902-24 November 1981), Annie, my grandmother, (26 November 1907-31 August 1961), and Mary (known as May) (later Gardiner) (30 July 1913-1995). A son, Joseph (known as Joey), was born on 22 September 1898 but died on 20 March 1901. The adopted son was Hamilton (known as Teddy) (18 December 1922- 13 August 2006). This entry was posted in Uncategorized on November 15, 2017 by Nick Metcalfe. If you enter your email address to subscribe to this blog you will receive notifications of new posts by email.